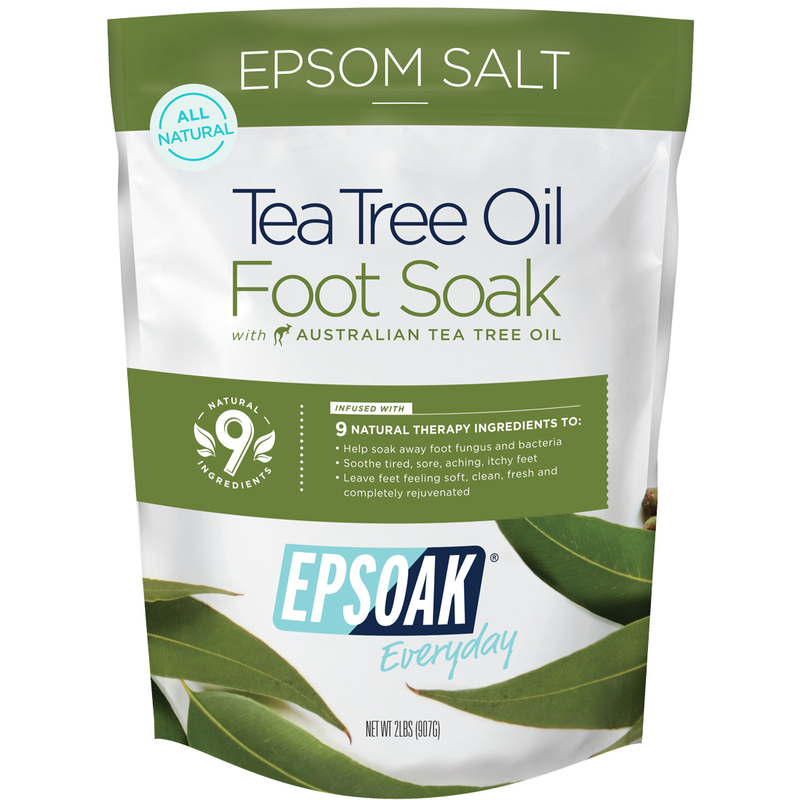 Tea Tree Foot Soak is a therapeutic foot soak featuring Epsoak Epsom Salt and Australian Tea Tree Oil along with 6 other natural essential oils. 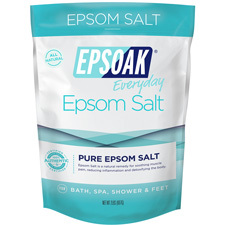 Add this salt to a foot bath for soothing tired, aching and itchy feet while helping to soak away bacteria and fungus leaving feet soft, clean and completely rejuvenated. 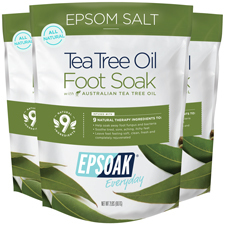 Tea Tree Foot Soak is a professional quality pedicure soak with soothing, cleansing & detoxifying Epsoak Epsom Salt & Minera Dead Sea Salt. MSM is added as a beneficial sulfur for relieving joint pain, inflammation & muscle cramps. 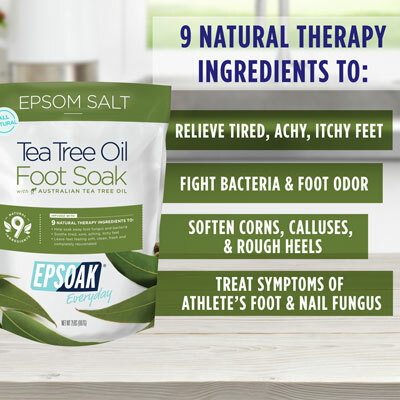 Treat symptoms associated with athlete's foot & nail fungus. Leaving you with clean, smooth and wonderfully refreshed feet. NATURAL WHITE: Natural white salts. No coloring added. FINE/MEDIUM GRAIN BLEND: Dissolves quickly in warm water. 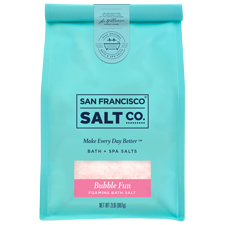 TRUSTED SALT SUPPLIER SINCE 2002: San Francisco Salt Company is a trusted salt supplier and manufacturer of the Epsoak (Epsom Salt) and Minera (Dead Sea Salt) brands. DIRECTIONS: Fill foot basin with warm water and add 2-3 tablespoons of salt. Mix with hands until the salt & MSM dissolve. Soak your feet for about 15-20 minutes.